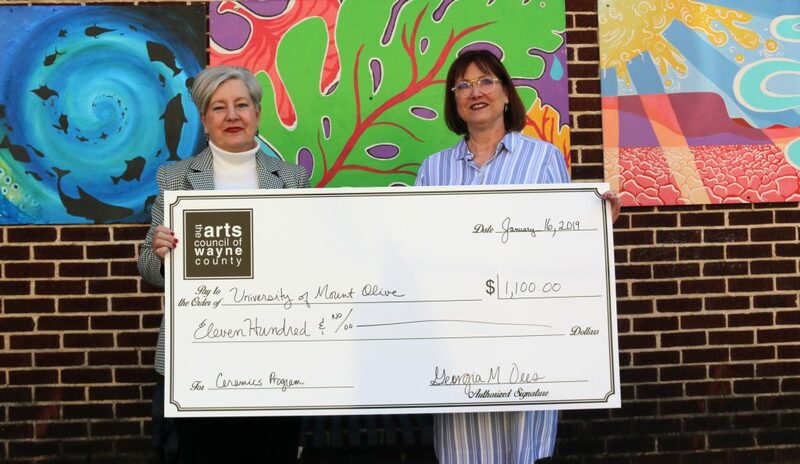 The Arts Council of Wayne County has awarded a Grassroots Arts Program subgrant of $1,100 to the University of Mount Olive for a summer workshop, “Finding Your Way in Clay.” The six-week summer program is limited to 16 participants and will be open to all residents of Wayne County and the surrounding region. The subgrant is one of 15 the Arts Council awarded this year to help local organizations provide artistic opportunities for the people of Wayne County. The awards are made possible by the North Carolina Arts Council’s Grassroots Arts Program, which distributes funds for the arts in all 100 counties, primarily through partnerships with local arts councils. Grassroots Arts Program funds may be used for expenditures to conduct quality arts programs or operate an arts organization. The first priority of the subgrants program is to provide operating or program support to qualified arts organizations not already receiving or eligible to receive support from the N.C. Arts Council. These include theaters, symphonies, galleries, art guilds, choral societies, dance companies, folk arts societies, writers’ groups and arts festivals, among others. The second priority of the Grassroots Arts subgrant program is to support arts learning and arts in education programs conducted by qualified artists. These can be artist residencies in schools, afterschool or summer camps or adult arts learning classes. The third priority of Grassroots Arts subgrants is to community, civic and municipal organizations. These programs must be conducted by qualified artists. All projects must take place between July 1, 2018 and June 30, 2019. Grant amounts range from $500 and up. All subgrantees must match their grant amounts dollar for dollar, and the funds must come from other public or private sources. Each recipient organization must submit a final report providing a detailed description of the funded project. Grants awarded by ACWC this fiscal year totaled $18,102. 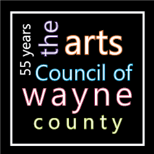 The Arts Council of Wayne County is a nonprofit organization dedicated to ensuring the arts thrive throughout Wayne County. For 55 years, it has promoted the arts, artists and creativity in Wayne County. L-R: Teresa Hines, representing the University of Mount Olive Office of Institutional Advancement, accepts a check from Georgia Dees, Interim Executive Director of the Arts Council of Wayne County.